While our organization has grown in numbers, so has the volume of business which is now transacted at Governors meetings through each year. This growth has also brought about an expanded version of that early meeting to the Convention we know today. Today's Conventions are up to a week long extravaganza that are more involved and require long range planning to meet the interests and demands of NCCC's diversified membership. For example, Members are afforded the opportunity to take a Corvette vacation throughout our wonder filled contiguous United States, socialize and party with new and old friends, participate in various competition events, be there to win a set of tires or many other great prizes. Local tours and seminars are sometimes made available or perhaps you can just kick back with a good book poolside. The links on this page will give you a view of our Convention activities and process for submitting a convention bid. There are links to Conventions that have already been enjoyed including that very first one in Detroit, a link to the 59th NCCC Convention to be held July 15 - 20, 2018 in New Orleans, Louisiana and even links to the Conventions that are still in the planning stages for future years. 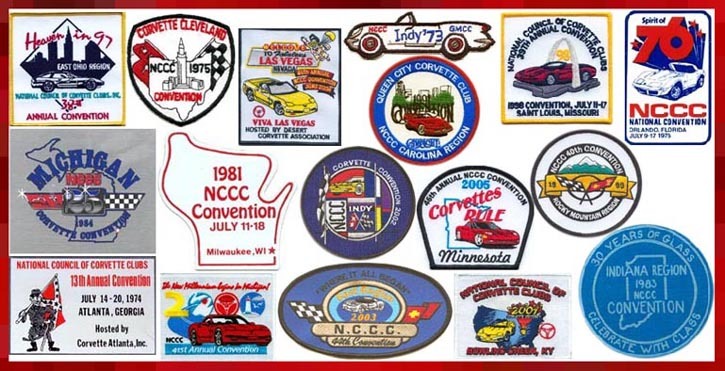 Start making plans for some "Corvette Fun" NCCC style! 2020 ~ NCCC Convention Information No. 61 in Indianapolis, Indianna?? ?